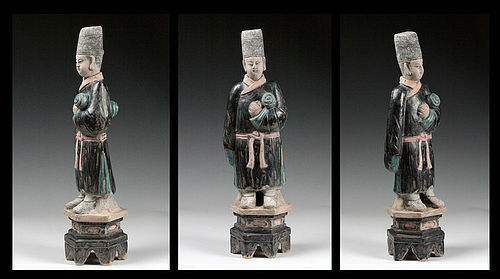 A choice Chinese Ming Dynasty pottery figure w. Ming hat! 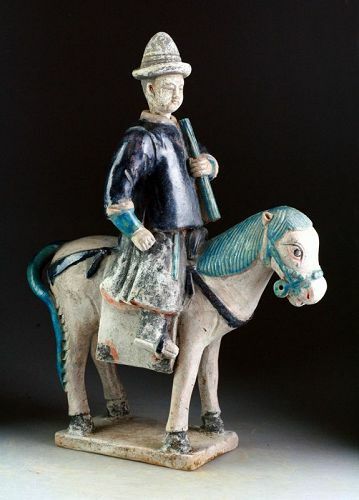 A choice condition Ming Dynasty pottery figure of a male servant holding an official Ming Dynasty hat or helmet. 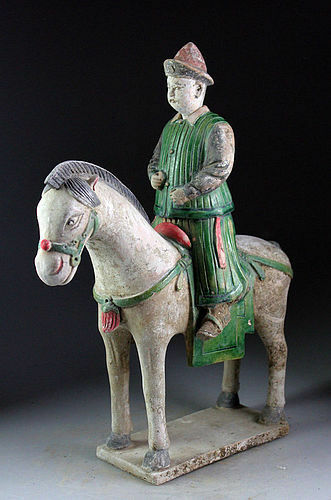 The figure is dating to c. 1400-1550 AD. 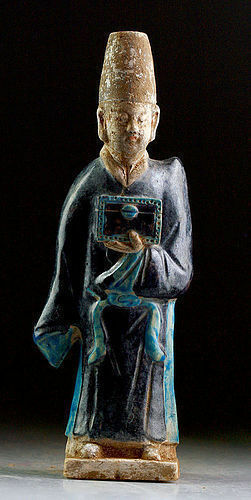 The figure has a beautyful deep blue and torqoise glaze and pigment on the details in black, white and red colours. Finely painted facial details. Condition: Choice, undamaged and no repairs. A superb 62-63 cm. Lady with a vase in hands in awesome green and yellow glaze, dating to Ming Dynasty 1368-1644 AD. 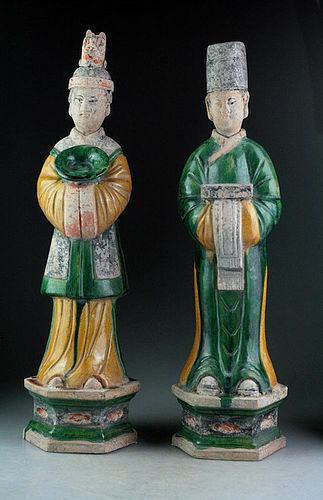 A superb pair of Ming Dynasty pottery female attendants dating to 1368-1644 AD. 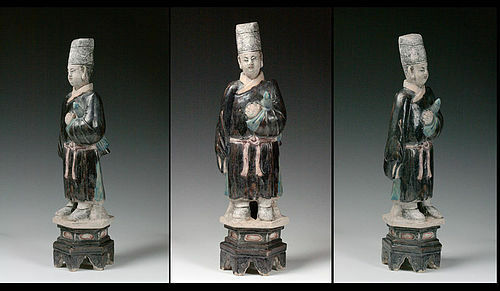 The figures are covered with a thick glaze in blue and turqoise colors. One is holding a vase in her hands, the other is holds a shrine or a box. The figures are large and measure ca. 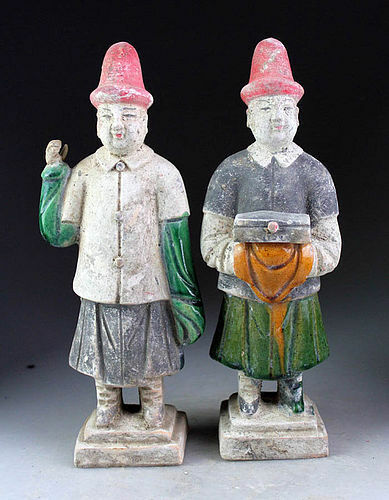 31 cm in height and are in superb condition and guaranteed authentic Ming pottery.